Optimum Nutrition 100% Whey Gold Standard surpasses all its competitors taking the mantle as the highest selling protein in the world. 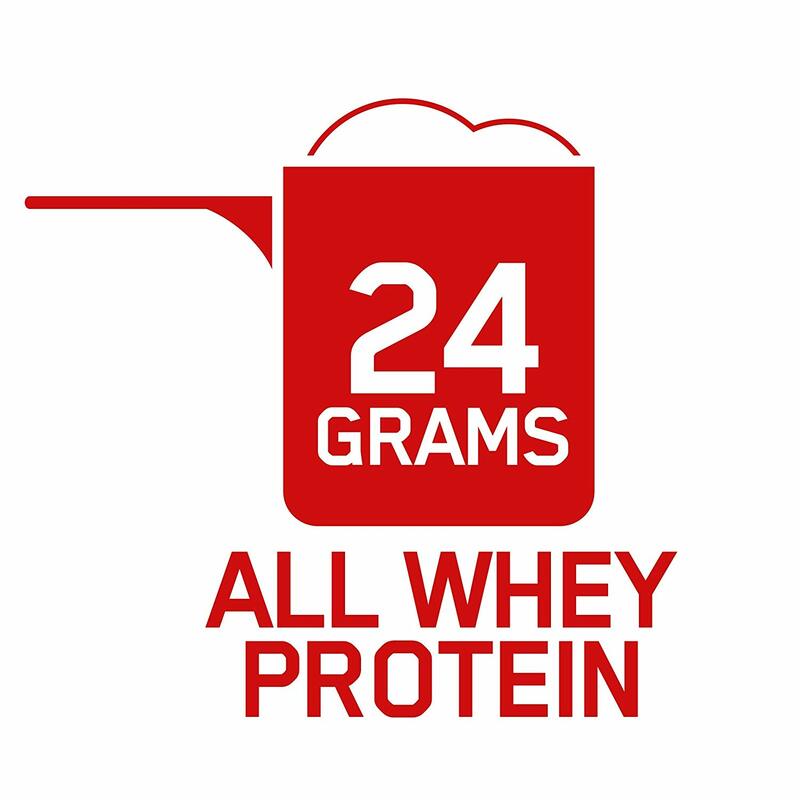 Optimum Nutrition Gold Standard Whey Protein 2.27kg hits the heights when it comes to sales as it offers a massive range of flavours to suit every taste. Whey protein has been identified a the highest quality protein source, able to stimulate muscle protein synthesis extremely well 1. Muscle protein synthesis is the anabolic pathway of the body, assisting in recovery from all types of physical activities, such as long distance running and heavy weight lifting. In addition, Gold Standard Whey Protein contains all nine of the essential amino acids in abundance, as naturally found within the protein structure, which have important ramifications for general health 2. The quality of the protein is not to be underestimated as well, as whey protein do differ in where they are sourced, and the health of the cows from which the milk is derived. All ON Whey Protein comes from Glanbia and the green pastures of Ireland. It has been demonstrated that, even though this is a low fat product, the fatty acid balance in pasture fed cows versus conventionally fed is significantly different. Pasture fed cows milk contains more Omega 3 and CLA than conventionally fed, which is a good thing 3. After all, most people do not consume enough anti-inflammatory Omega 3s or enough naturally occurring CLA, which promotes fat burning and muscle building. No bones about it, pasture fed cows produce the purest form of whey protein. Optimum Nutrition 100% Whey Gold Standard is also high in bioactive compounds such as Immunoglobulin G, Lactoferrin and Bovin Serum, Gold Standard Whey Protein also supports the immune system and intestinal health important for hard trainers so they can keep performing and also to allow effective absorption of amino acids for effective muscle growth. 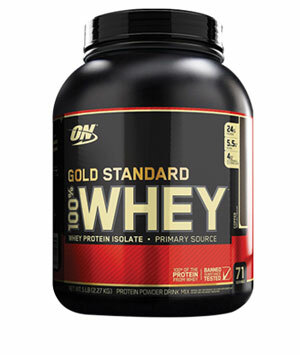 Further enhanced with pre-digested Whey Peptides for ultra-fast absorption, Optimum Nutrition 100% Whey Gold Standard is the award winning ultrafiltered whey protein that gives 100% nutritional support to any athlete looking to increase lean muscle growth, improve muscular adaptation and improve recovery time. 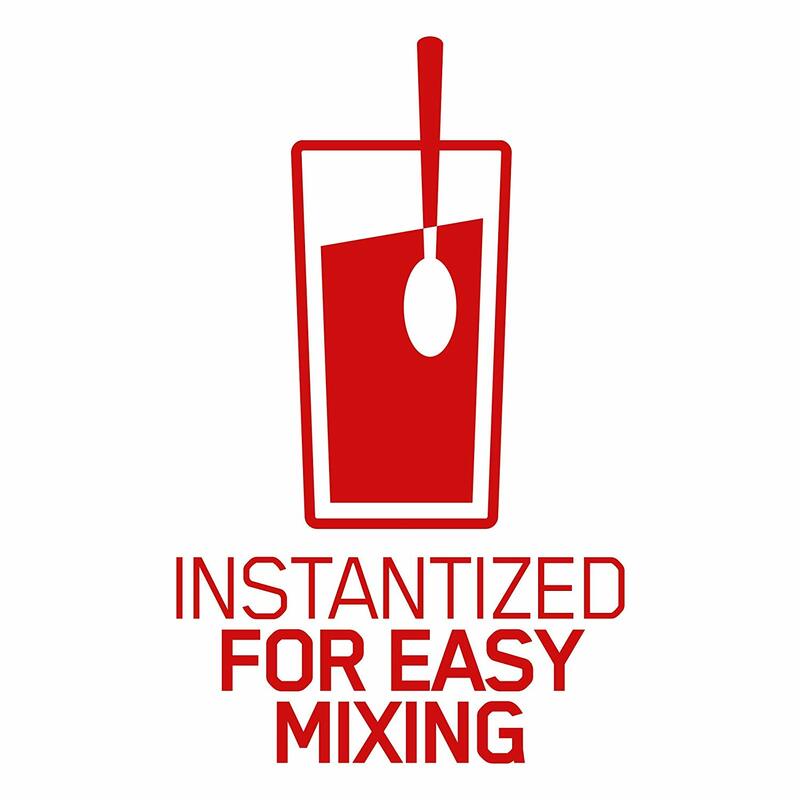 Mix 1 Scoop of Gold Standard 100% Whey with 175-250ml cold water or liquid of your choice and stir or shake. Alternatively, add to blender with milk or your favourite milk alternative with your selection of ingredients for a delicious smoothie. Take after exercise. Additonal serves may be used to meet you daily protein requirements, such as morning or afternoon tea, before bed, or to supplement a low protein meal. 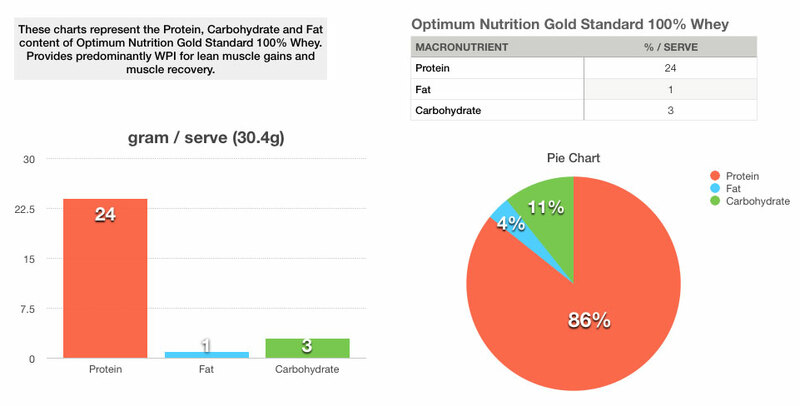 Is Gold Standard Whey Protein Lactose Free? This product contains a small amount of lactose, which is found in the different types of whey proteins in this product. This product is not ideal for lactose intolerant individuals. Those with lactose intolerance might like to try Optimum Nutrition Isolate, which contains less lactose, or Gold Standard 100% Plant, which is lactose free. Is Gold Standard Whey Protein Vegetarian? 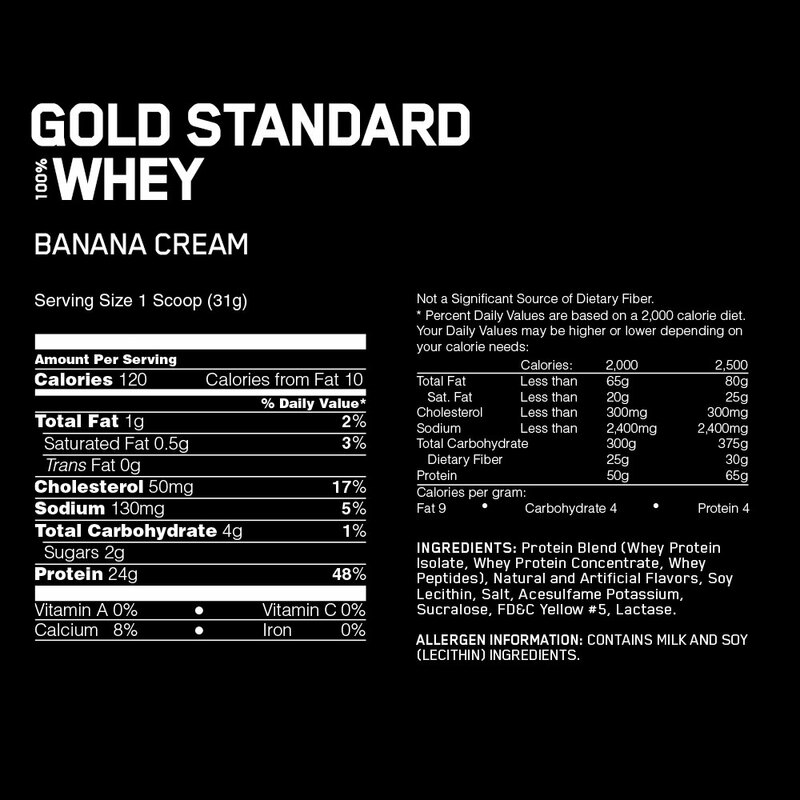 Gold Standard whey protein is derived from cow's milk. 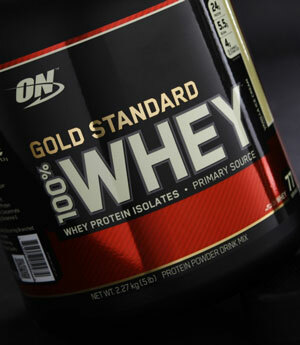 For a standard vegetarian diet that includes milk and dairy products, this Gold Standard Whey Protein is fine for use. This eating plan may also be called lacto-vegetarian. For those who eat eggs and dairy (lacto-ovo-vegetarian) this product is also suitable. However, this product is not suitable for vegans. Sports Nutrition at its finest. Grab a protein shake and get going. Awesome product, good results. Mixes and tastes excellent. So many flavours to choose from. INGREDIENTS: Protein Blend (Whey Protein Isolate [Milk], ultra filtered Whey Protein Conentrate [Milk], Whey Peptides [Milk]), (Emulsifier: Soy Lecithin), Cocoa Powder, Natural and Artificial Flavours, Sweetener (Acesulfame Potassium). Allergen Information: Contains Milk & Soy (Lecithin). Ingredients may contain egg, gluten, peanuts & treenuts. For an in-depth look at the world's leading sports nutrition company, check out this comprehensive article, or an in-depth look at what the best protein powder is for you.